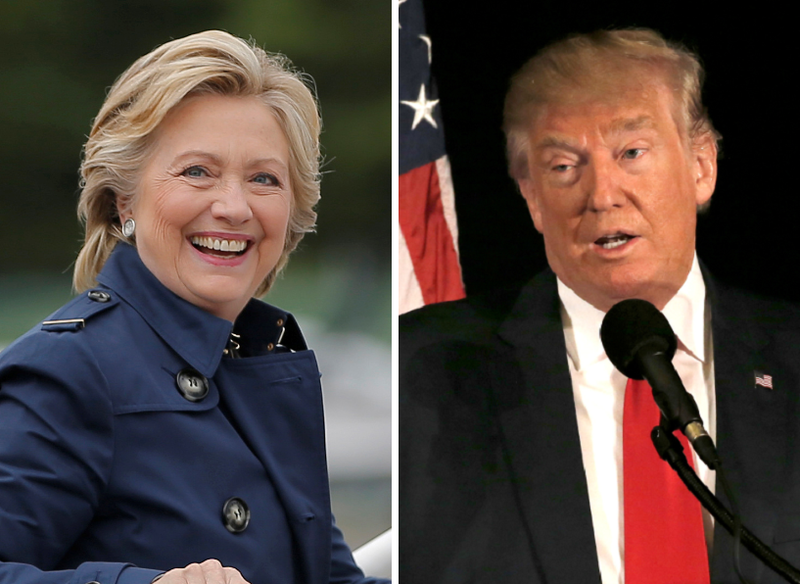 In the first CBS News Poll following last week’s presidential debate between Hillary Clinton and Donald Trump, Clinton has edged ahead to a four-point lead over her Republican rival among likely voters. Forty-five percent of likely voters support or lean towards Hillary Clinton, while 41 percent support Donald Trump. Libertarian candidate Gary Johnson gets 8 percent of likely voters, while Green Party candidate Jill Stein receives just 3 percent of the vote. Before the debate the two leading candidates were tied in a four-person race at 42 percent each. Hillary Clinton extends her lead further in a direct head-to-head comparison. In a two-way match-up where third party candidates are not named explicitly, Hillary Clinton leads Donald Trump 49 percent to 43 percent among likely voters, including leaners. On balance, the recent presidential debate has had a more positive impact on views of Clinton than on views of Trump. Likely voters who watched the first presidential debate are twice as likely to say the debate made them think better of Clinton (32 percent) than worse (16 percent). For Trump, the reverse is true. Only 10 percent of voters who watched the debate say it made them think better of him, while 36 percent say it made their opinion of him worse. For about half of likely voters the debate had no effect on their impressions of the candidates. Far more Democratic voters (58 percent) than Republican voters (22 percent) say the image of their candidate improved after the debate. Thirty-nine percent of registered voters overall now say they are very enthusiastic about voting, a slight increase from last month. The percentage of Clinton voters who are very enthusiastic about voting has risen seven points since before the first debate – from 39 percent to 46 percent - which now matches the 46 percent of Trump voters who are very enthusiastic. Seven in 10 registered voters who support someone other than the two major party candidates are either not too (22 percent) or not at all (49 percent) enthusiastic about voting. Just half of likely voters strongly favor their candidate, and another 27 percent like their candidate with reservations; 23 percent have made their choice because they dislike the other candidates. However, more Clinton voters (55 percent) strongly favor their candidate than Trump voters (47 percent). Nearly half (44 percent) of those voting for Johnson, Stein, or another third-party candidate are doing so because they dislike their other options. Hillary Clinton enjoys strong support from women; she now leads Trump by 18 points. Trump maintains an 11-point lead among men. Trump holds a 12-point lead among white voters overall, and an even larger lead among white men. Clinton has an edge among white women. Trump continues to trail among blacks, eight in 10 of whom are voting for Clinton. Trump has a 13-point lead among seniors, but Clinton now holds a lead among voters of all age groups under 65 years of age. Clinton continues to struggle with voters under 30 years of age – beating Trump by 10 points among this group but getting just 40 percent of their vote overall. About one in four are voting for either Gary Johnson (21 percent) or Jill Stein (5 percent). Whites without a college degree are strong supporters of Trump (56 percent back him), while Clinton leads Trump among white voters with a college degree. Trump and Clinton continue to hold similarly commanding leads among members of their own parties, while Trump holds a slight edge among independents. Most Clinton and Trump voters say they’re sticking with their candidate. Ninety-two percent of Trump voters and 93 percent of Clinton voters say their choice is set. Voters choosing a third-party candidate such as Gary Johnson or Jill Stein are far less secure in their decision. While 59 percent of these voters say their mind is made up, 41 percent could still change their mind and vote for another candidate. Sixty-eight percent of voters are now paying a lot of attention to this year’s presidential campaign, up from 61 percent recorded before the first debate. Since last month, attention has risen 13 points among independents, seven points among Democrats, and four points among Republicans. Regardless of who they will vote for, 55 percent of registered voters expect Hillary Clinton to finally win the 2016 presidential election, compared to just 33 percent that expect Trump to win. Most Republicans think Trump will win, while Democrats and independents think Clinton is more likely. This poll was conducted by telephone September 28-October 2, 2016 among a random sample of 1,501 adults nationwide, including 1,217 registered voters. Data collection was conducted on behalf of CBS News by SSRS of Media, PA. Phone numbers were dialed from samples of both standard land-line and cell phones. The error due to sampling for results based on the entire sample and the sample of registered voters could be plus or minus three percentage points. The error for subgroups may be higher and is available by request. The margin of error includes the effects of standard weighting procedures which enlarge sampling error slightly. The sample of likely voters is modeled among registered voters (N=1217), assigning each respondent a probability of voting based on their responses. The margin of error for the sample of likely voters is plus or minus four points. This poll release conforms to the Standards of Disclosure of the National Council on Public Polls.